The Model A Zenith carburetor was fitted to all Model A production from 1928 to 1931. They were manufactured by Zenith, Holley and even Ford themselves, although the Ford version is quite rare. We offer the complete range of spare parts for these carbs, which are all compatible with the three manufacturers. We also find these carbs with different names on the castings. I have two of them with Kayce cast on the side. We understand that these were popular in the European market. Nevertheless, all the replacement parts fit them. This book is a must for model A Ford owners working on their Zenith carb. 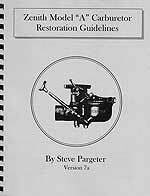 Contains tons of technical information on the restoration of original Model A Zenith carburetors. 38 pages, a great book by Steve Pargeter. I use this book a lot when working on my own Zenith carbs. 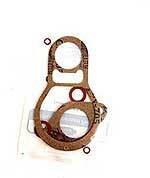 Carb Gasket set for the 1928-31 Model A Ford fitted with the zenith carb. Made in USA. 1928-31 Zenith Carb basic rebuild kit. All the basic parts for rebuilding an original cast iron zenith carburetor. Kit contains: gaskets, adjusting needle, adjusting needle seat, main jet, cap jet, Idle jet, float pin, float valve, compensator jet, idle mixture needle and drain plug. All other items are available seperately as required. 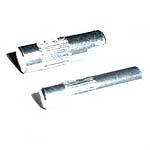 NOTE: The float valve used in these kits is the standard version. Many customers purchase our float valve part number A-9564-GJZ with the multi ball valve, or the A-9564-C which has a viton tip for modern fuels. If you want to completely rebuild your 1928-31 Zenith Carb, add this kit to the basic A-9595 rebuild kit. These two kits will give you all the parts excluding the two main body peices, for rebuilding an original cast iron Model A zenith carburetor. Kit contains: float, float mountings and screws, float shim set, venturi, shafts, bushes, passage plugs, through bolt, strainer, throttle plate, choke plate, choke shaft, idle screw set, stop pins, idle stop screw and choke lever. Twin ball type float valve for the 1928-31 Zenith Carb. 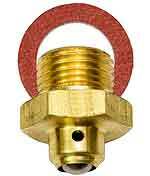 This type uses two balls instead of a needle to shut off the gas flow. Zenith Carb Needle/Seat for the 1928-31 Model A Ford Zenith carb only. This needle has a viton tip for improved fuel shut-off. Made in USA. 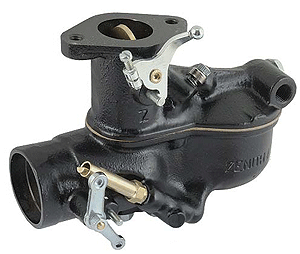 The original style Zenith Carb float valve for the 1928-31 Model A Ford Zenith carb only. The float level on the Zenith carb is critical. This first kit gives you two .015" thick fiber shims and two .031" fiber shims which can be used on the float valve to raise or lower the fuel level in the bowl. 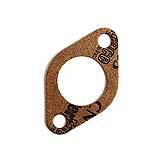 This second kit gives you four of the thicker gaskets that were used originally. Two .049" thick plastic shims and two .063" fiber shims which can be used on the float valve to raise or lower the fuel level in the bowl. If you want to get the float level exactly right, it is best to buy a pack of each kit. Model A Ford Carb To Inlet manifold Bolts. These are the two bolts and lock washers used to bolt the carb to the intake. Made in USA. Carb Stop Pins for the 1928-31 Model A Ford. Special knurled pins that press in the carb for the choke and throttle. Made in USA. Carb Fuel Level Adjusting Gauge for the 1928-31 Model A Ford. No more guessing with this little gadget. Attaches to the Zenith carb to set the float level right where it is supposed to be. Comes with instructions. Made in USA. Brand New Zenith Carb for the 1928-31 Model A Ford. Why rebuild an 80 year old carb, when you can have a brand new replacement. Zenith Carb ADJ Needle on the 1928-31 Model A Ford. The brass adjustment needle that is controlled by your choke rod. This is an important item to your cars performance. Make sure that your point is in good shape. Made in USA. Carb Adjustment Needle Housing for the 1928-31 Model A Ford with the Zenith carbs. Made in USA. The late 1931 Carb Adjustment Needle Housing with the 13/32 Hex size head. Carb Adjustment Needle Seat for the earlier 1928-29 Model A Ford. The adjustment needle went into this brass seat in the 28-9 Zenith carbs. The later carbs were machined in the carb casting, and didn't use one. Made in USA. Carb Main Jet for the 1928-31 Model A Ford with the Zenith carb. Made in USA. Carb Cap Jet for the 1928-31 Model A Ford with the Zenith carb. Made in USA. Carb Rebuilding Wrench for the 1928-31 Model A Ford. A copy of the XR Wilson tool used in rebuilding the zenith carbs. Made in USA. Carb Idle Jet for the 1928-31 Model A Ford with the Zenith carb. Made in USA. Carb Secondary Well for the 1928-31 Model A Ford with the Zenith carb. Made in USA. Zenith Carb Choke Shaft Lever for the 1929-31 Model A Ford in Stamped Steel. The lever only for the choke shaft. Zenith Carb Choke Shaft Lever for the 1928-29 Model A Ford in Cast Brass. 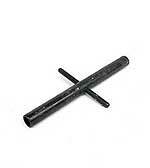 This is the lever only for the choke shaft. Zenith Carb Choke Shaft for the 1928-31 Model A Ford. Standard 250 dia.. Tis is the choke shaft only. Lever not included. Made in USA. 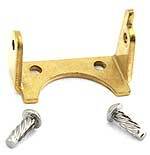 Zenith Carb Choke Arm Nut 1928-31. 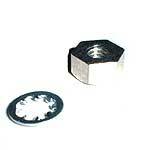 Special threaded nut that holds the choke arm onto the choke shaft. This nut is thicker than the normal nut. Made in USA. 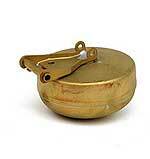 Carb Choke Plate 1928-31. A cad plated stamped steel choke plate or butterfly! Made in USA. Zenith Carb Butterfly Screws 1928-31. Set of four small fine threaded screws that attach the choke & throttle butterflies to the shafts. Made in USA. Set of external screws for the Zenith Carb. 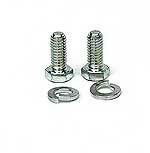 Consists of Air shutter shaft nut, 4 choke and throttle screws, idle stop screw and bowl bolt in Zinc finish. Carb Bolt for the 1928-31 Model A Ford. This is the cadmium plated long bolt that joins the bowl of the Zenith carb to the top of the carb. Zenith Carb Float 1928-31. All brass float for the carb. Made in USA. 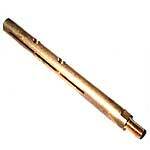 Carb Float Hinge Pin 1928-31. Pin that the float pivots on. Zenith. Made in USA. Zenith carb float hanger complete with rivets. This part rivets to the upper casting of the Zenith carburetor for the float to pivot on. Made in USA. 1928-29 Carb strainer in brass for the zenith carb. Made in USA. Carb plated carburettor Strainer for the 1930-31 zenith carb. Made in USA. Carb Driver 1928-31 Cad Plated. The adjustment needle is what your choke rod hooks to. Cad plated finish was original. Made in USA. Carb Jet Tap 1928-31. Special tap for cleaning the jet threads in the zenith carb. Made in USA. Carb Compensator Jet 1928-31. Goes in the bowl, in the float chamber of the Zenith Carburetor. Zenith Carb Passage Plugs 1928-31. These brass plugs get drilled out when you go to clean the internal passages in the Zenith carb. Made in USA. Zenith Carb Idle Mixture Screw with the large 3/8" diameter head. These were used from 1928 until mid 1930. Comes with cap, and stainless spring. Made in USA. Zenith Carb Idle Mixture Screw in Cadmium finish. These have the smaller 5/16" head and were used from mid 1930 to the end of production. Comes with cap, and stainless spring. Made in USA. Zenith Carb Throttle Shaft/Lever 1928-31 281 Dia. Standard size. If your shaft is worn, it can cause your motor to run poorly at an idle. It is important that the shaft fits well in the carb. If your casting is worn, you can drill holes out and use the oversize one that we offer. Made in USA. Zenith Carb Throttle Shaft/Lever 294 Dia. Oversize. If your shaft is worn, it can cause your motor to run poorly at an idle. It is important that the shaft fits well in the carb. If your casting is worn, you can drill holes out and use oversize one. Made in USA. Carb Throttle Shaft Bushings 1928-31. If your carb housing is worn badly where the throttle shaft goes through, this kit will take care of it. Brings the hole back to standard size! Knurled! Made in USA. Zenith Carb Idle Stop Screw 1928-31. A special fine threaded screw that goes on the throttle lever to set the idle. Made in USA. On most of the Zenith carburetors, the throttle shaft was drilled completely across the throat of the carburetor and this 9/32" brass end plug was pressed into the housing to keep dirt from the shaft. A good heavy throttle plate for the Zenith carbs. Made of brass as original with correct angles on edges. Made in USA. Carb Venturi 1928-31. The 'single' style venturi for the Zenith carb. This is a fully machined part so the inside diameter is smooth for proper air flow. Carb Double Venturi 1928. The double venturi was used on the early Zenith carburetors. Made in USA. 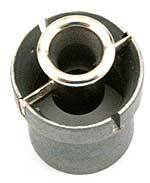 This handy tool removes the venturi from the lower casting of the carburetor. The venturies are often stuck in the lower part of the carb and very difficult to remove. Jets must be removed from the bowl before this tool can be inserted. Note: Will not work on early 1928 double venturi carbs. 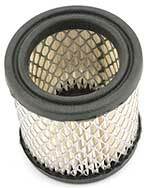 Carb Air Maze Filter 1928-31. It's a good idea to put an Air Maze on your car. First as an air cleaner, and second in case of a backfire, it's a flame arrester. Left hand drive only. (Designed for the Zenith carb, but also fits the Tillotson carb). 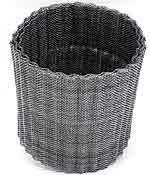 Replacement Wire screen type air filter for the standard style A-9600 air maze. This is a modern air filter for the popular air maze. Just take the metal screen out of your old air maze, and this filter will fit right on. Give your A engine the clean air it deserves. 1928-31 Air Maze Filter modern style. Like the standard Air Maze filter but with the modern paper element. Hiboy Style Air Filter for the Left Hand Drive model A. assembly simply clamps to the OD of the carburetor throat with a rubber hose and hose clamp. Puts the filter above the carburetor so it is not affected by gas dripping into the element. Element comes pre-oiled and can be cleaned and recharged when necessary. Filter cleaner and oil can be purchased at your local parts store when this is necessary. Hiboy Style Air Filter for the Right Hand Drive model A. assembly simply clamps to the OD of the carburetor throat with a rubber hose and hose clamp. Puts the filter above the carburetor so it is not affected by gas dripping into the element. Element comes pre-oiled and can be cleaned and recharged when necessary. Filter cleaner and oil can be purchased at your local parts store when this is necessary. Filter for the model B carb. 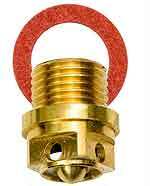 The assembly simply clamps to the OD of the carburetor throat with a rubber hose and hose clamp. Puts the filter above the carburetor so it is not affected by gas dripping into the element. Element comes pre-oiled and can be cleaned and recharged when necessary. Filter cleaner and oil can be purchased at your local parts store when this is necessary.